It’s becoming a bit of a tradition for me to post about an article from the fabulous Christmas BMJ with a spurious link to infection (see 2016 [depressing] and 2017’s [uplifting] version here). 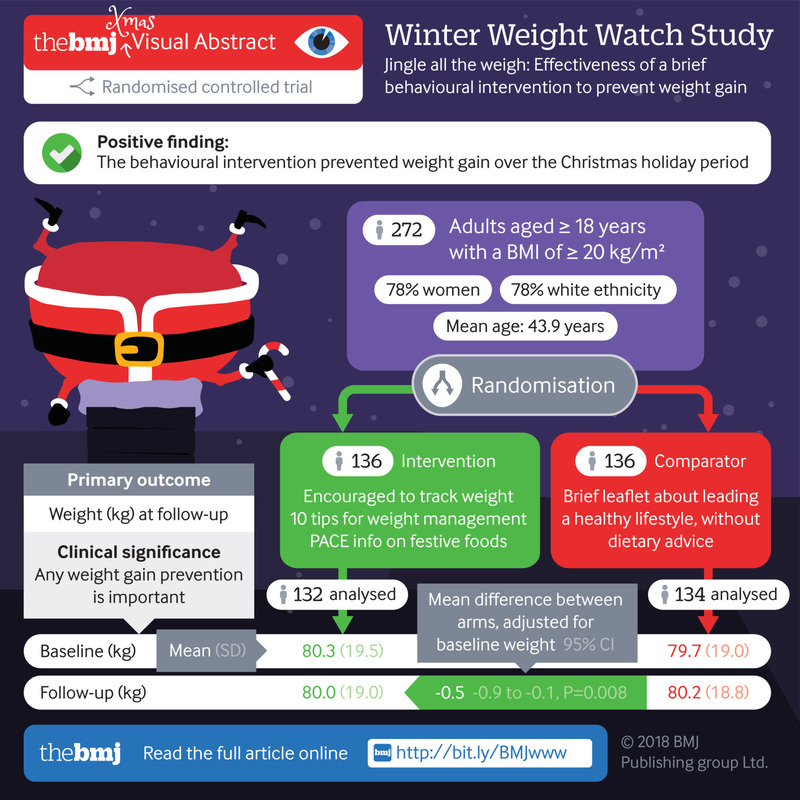 This year, it’s a short-term behavioural intervention to prevent weight gain over Christmas. And the links to infection: obesity is a big (!) risk factor for all-things-infection, and we’re all about achieving meaningful and sustained behaviour change.